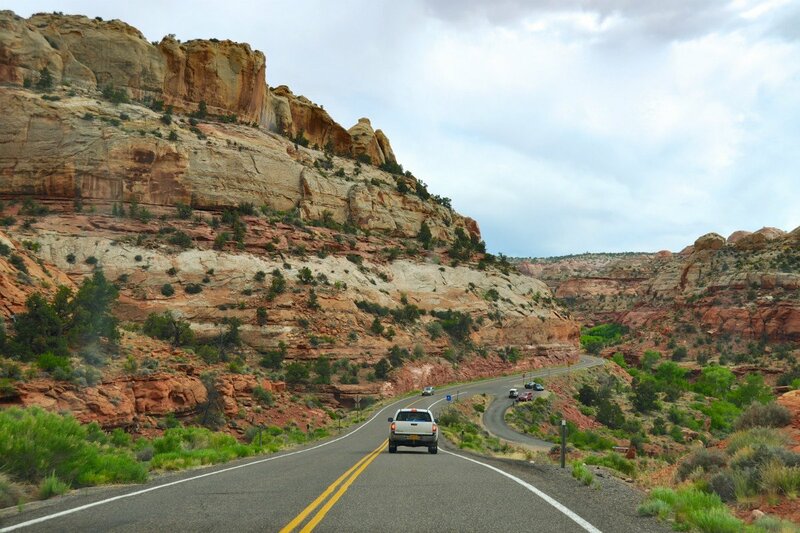 It's always a good time for a drive — especially if you're exploring the best routes across America. Island-hop in your car, cruise along the Southern music trail, traverse national parks, take the high road, gawk through the window, endure white-knuckle driving for the epic views, and get out to stretch your legs. We can't wait to get on the road again. Overseas Highway. Photo by Sathish S/Flickr. 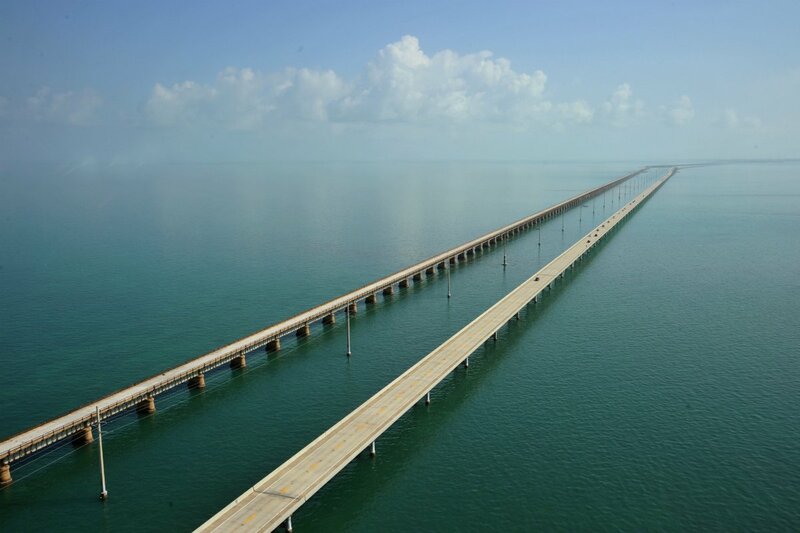 This 113-mile highway connects the Florida Keys, an archipelago off the southern tip of the state, with mainland Florida all the way up to Miami. The drive is one of the most dazzling in the country, stretching out over vast expanses of beautiful, clear waters, and over 42 bridges that connect the coral islands. There are plenty of viewpoints and rest areas along the way, not to mention islands to visit. Key Largo and Key West, at the eastern and western tip of the chain, respectively, are the most developed, but make time for a pit stop on the smaller islands of Islamorada, Big Pine Key, and Marathon. Along the Way: Explore Miami’s thriving Cuban food scene. The Blue Ridge Mountains. Photo by Kyle James/Flickr. There’s no road in the United States quite like this one: It connects nine major music venues, over 60 smaller, affiliated venues and festival areas, and countless museums and shops dedicated to the preservation of southwestern Virginia’s rich musical heritage. At any point along this , you’ll hear a mix of traditional gospel, bluegrass, folk, and mountain music echoing through the deep valleys of the Blue Ridge Mountains — the best possible way to experience Appalachia’s rugged beauty. Along the Way: Take a detour! 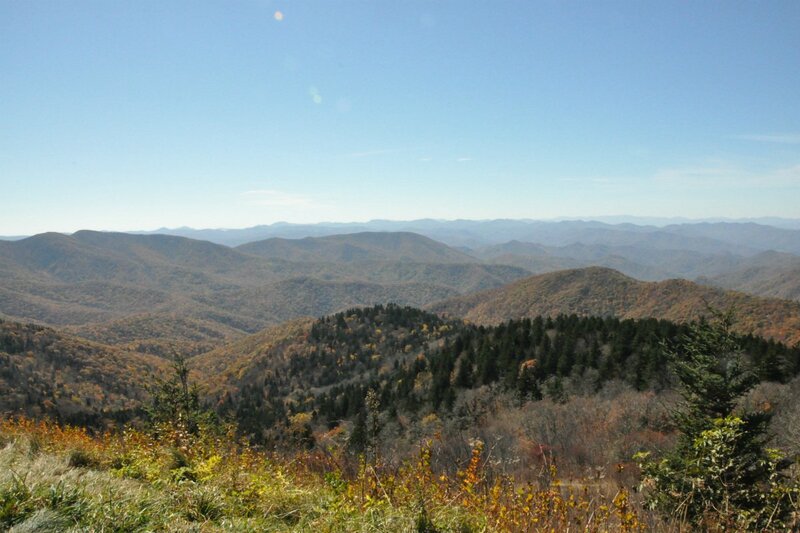 Follow this author-inspired guide to Western North Carolina. Glacier National Park. Photo by Benjamin van Waart/Flickr. Traversing the entire length of , this literally lifts you up to touch the sky — well, to an altitude of 6,646 feet, at least — as you cross the at Logan's Pass. What makes this drive remarkable is that it winds through nearly every biome in the park, past glacial lakes and dense forests to belts of large, sedimentary rock formations and alpine tundra. Viewpoints and wide shoulders line both sides of the road, great for photo-ops. 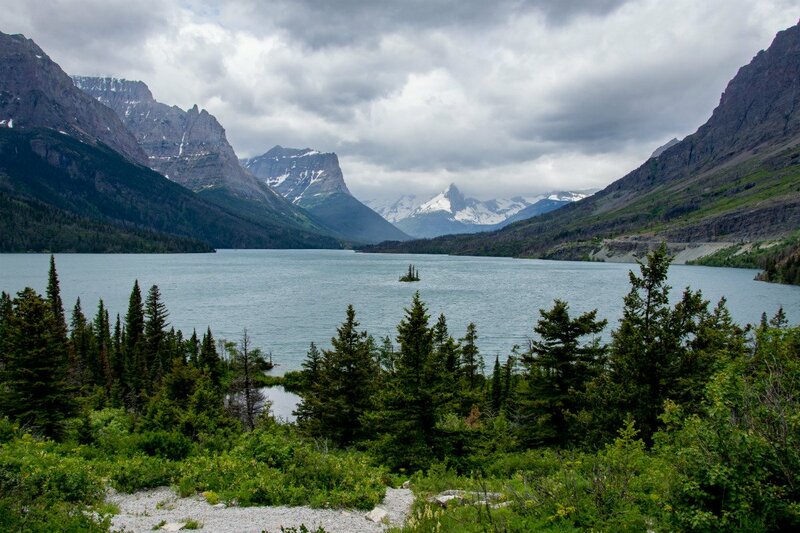 Along the Way: Experience Glacier National Park. Big Sur. Photo by Michael Depetris. No list of the "Best Roads in America" would be complete without mentioning Big Sur, the (also known as Highway 101 or the Pacific Coast Highway) that hugs Central California’s jagged, dramatic coastline. Chances are you won’t have the road to yourself (Big Sur has about as many annual visitors as Yosemite) but the views are, simply put, unparalleled. See if you can spot condors, otters, and, if you time it right, the bi-annual gray whale migration. If not, don’t worry: Your consolation prize is a jaw-dropping cove at every turn. If you’re starting in Southern California and feel like embarking on a proper road trip, Highway 101 stretches all along the coast of California, through Oregon, and up to Washington State. 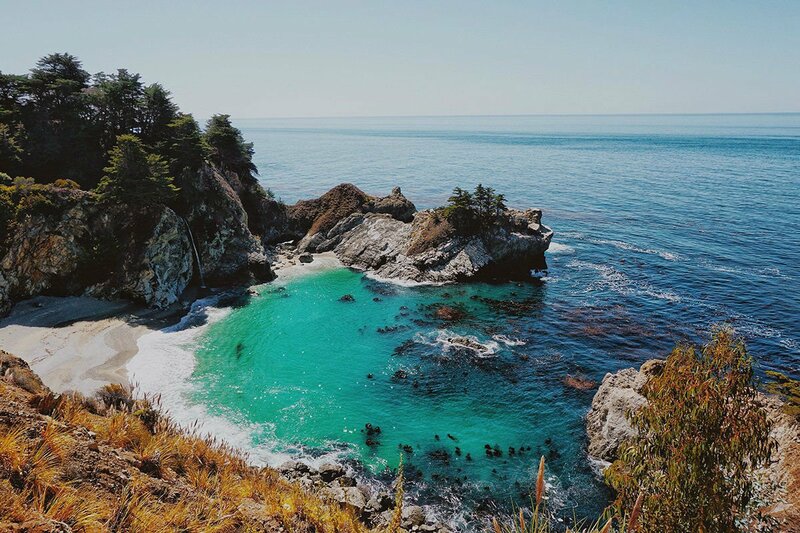 Along the Way: Check out the 9 best places to visit in Big Sur. Hana Highway. Photo by Maik-T. Šebenik/Flickr. Passengers prone to car sickness, be warned: the Road to Han̄a, or R2H as it’s known on the island of Maui, is anything but a smooth ride. Its narrow roads, hairpin turns, and one-lane bridges prove challenging to navigate, especially for tourists who are unfamiliar with the road to begin with. 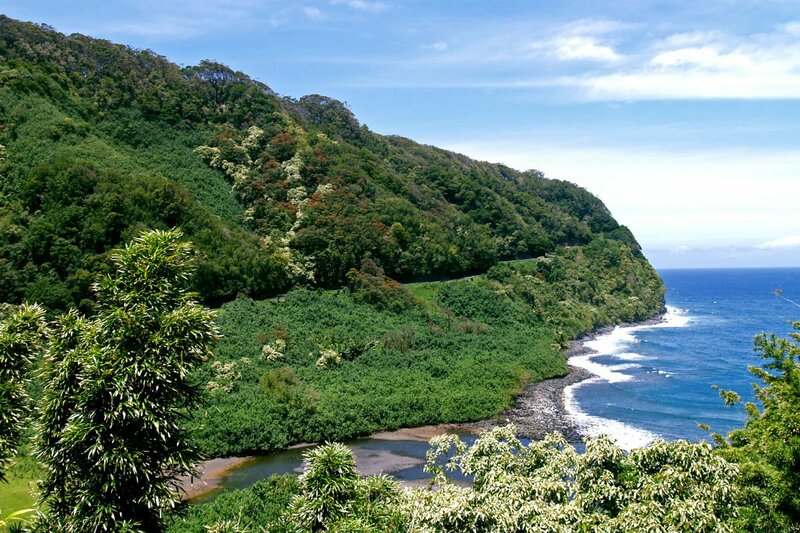 Your reward, however (apart from the thrill of careening around steep bluffs, if you’re into that sort of thing), is a gorgeous drive through lush rainforests and past waterfalls, red and black sand beaches, and adorable island towns. Research where you’ll stop ahead of time, and get on the road by 7 a.m. to avoid traffic. Along the Way: Forgo Han̄a’s two restaurants and eat at these delicious roadside food stands instead. Scenic Byway 12. Photo by Faungg/Flickr. Few drives are best experienced outside of your car, but this is one of them: connects two national parks, and , passes by several state parks, including , , and , and stops just short of the , with countless outdoor recreational opportunities, so allow yourself enough time to get out and explore. 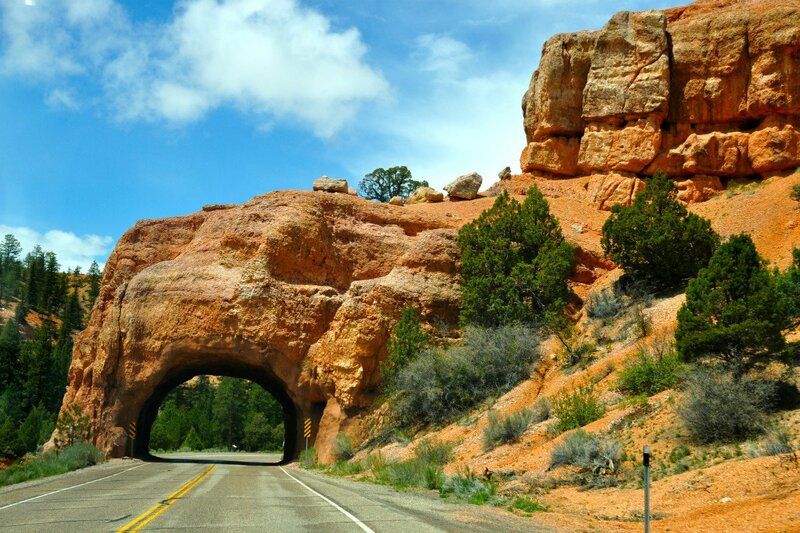 Along the way, glowing red and orange sandstone cliffs, aspen and pine groves, and sweeping desert landscapes are guaranteed to prompt incredulous gawking. Along the Way: Take advantage of the minimal light pollution to try your hand at astrophotography. 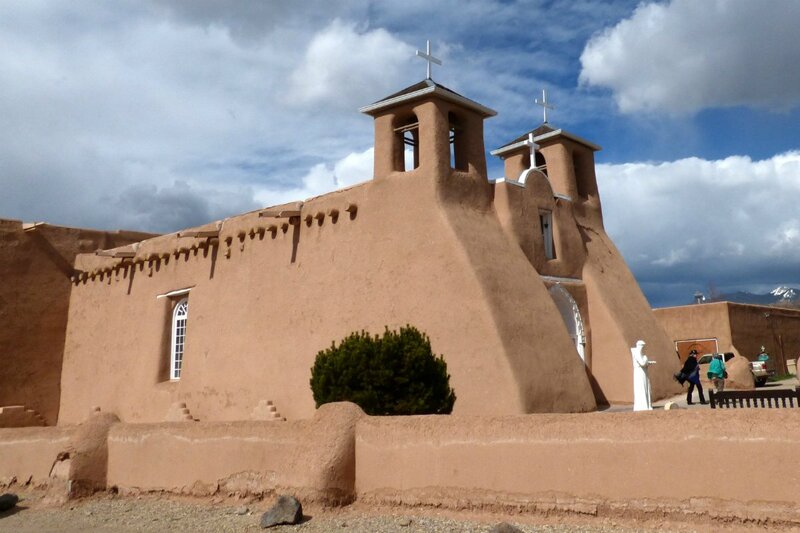 San Francisco de Asis Church in Ranchos de Taos, New Mexico. Photo by Howard Lifshitz/Flickr. Follow in the footsteps of Georgia O’ Keeffe and Ansel Adams along this through northern New Mexico, connecting the state’s capital and one of the country’s foremost art colonies. You’ll pass traditional Pueblo villages and small towns that have held fast to their Spanish colonial roots, encountering some of the country’s best-preserved Spanish architecture, adobe churches, and countless artisan communities. Highlights include the Chimayó village, where you’ll find the , Córdova, famous for its wood carving tradition, Ojo Sacro, another small artisan community, and the famous in Ranchos de Taos. Along the Way: Eat your way through Santa Fe and stay at this cozy adobe in Taos. Acadia National Park. Photo by Jeff Gunn/Flickr. If you only have a day to explore Maine’s crown jewel — and the state’s only national park — consider the as a tour of Acadia’s greatest hits. It’s the primary road that runs through Mount Desert Island, the largest of the islands that make up the park, and it passes by the rocky shores of Sand Beach, Thunder Hole (named for the thunderous crashing of waves), Jordan Pond (a glacial lake in the heart of Acadia), and Cadillac Mountain (the highest point of elevation on the eastern seaboard). To beat the crowds, start before 10 a.m. or hit the road in the late afternoon. 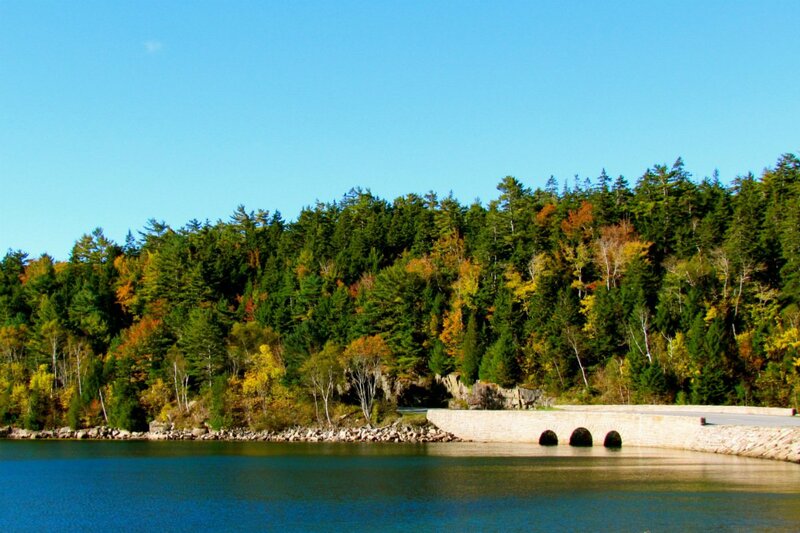 Along the Way: Just outside of Acadia, you'll find the charming resort town of Bar Harbor. Kancamagus Highway. Photo by Patrick Kinney/Flickr. 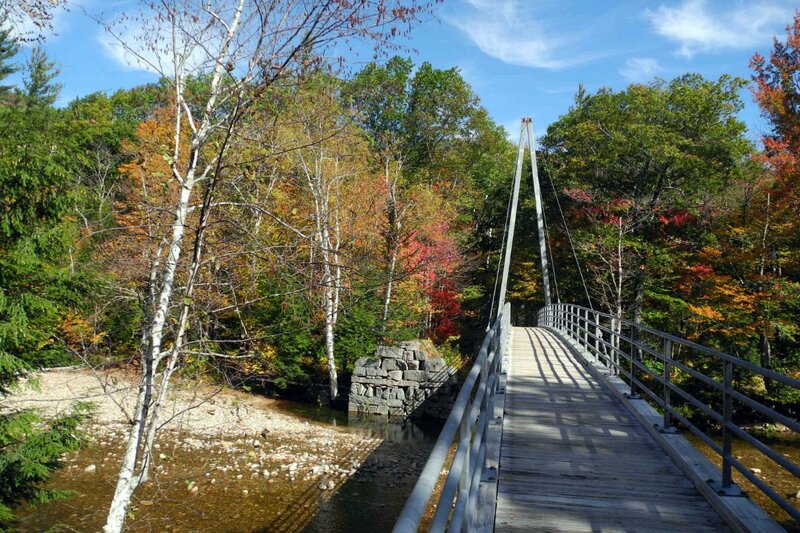 The “Kanc,” as it’s locally known, is beautiful all year round, but you’ll want to save this drive for the fall: Once the leaves begin to turn, this 35-mile scenic drive through northeastern New Hampshire becomes a picture-perfect backdrop of vibrant red, orange, and yellow foliage befitting the cover of a New England tourism brochure. Connecting the small towns of Lincoln and Conway by way of the , this is probably one of the only highways you would describe as “peaceful.” There are no restaurants, gas stations, hotels, or businesses of any kind, just nature in all its splendor. Along the Way: If you have a day or two, cross over into Vermont and stay at this quaint, historic inn. Bellevue Avenue. Photo by Kimberly Vardaman/Flickr. If you’ve read this far, chances are you’re the roadtrip type — but how about a drive you could do in 20 minutes? This ten-mile stretch along the southern shore of Newport, Rhode Island’s historic district, may be short, but what it lacks in distance, it makes up for in preppy New England glamour. 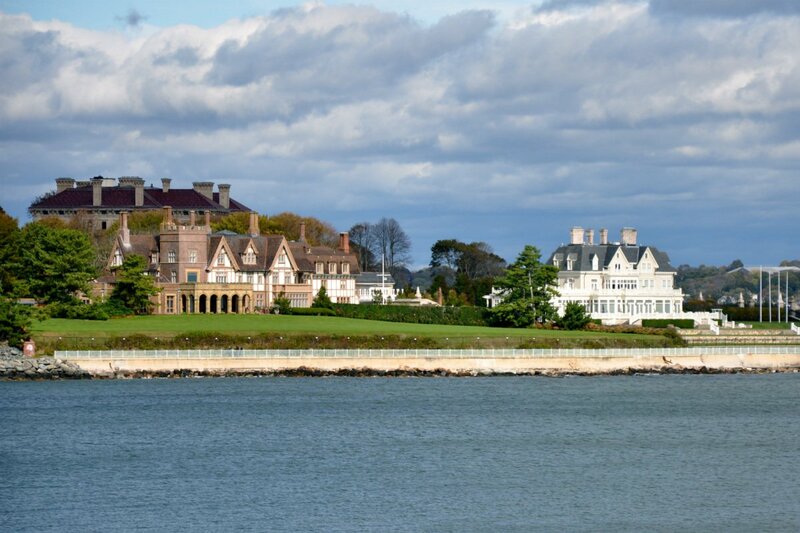 See Newport’s famous “summer cottages” — code for massive gilded-age mansions — the childhood home of Jackie Kennedy Onassis, views of Newport Harbor, and the winding coastline. Take a detour off Bellevue Avenue and drive to the Cliff Walk, a 3.5 mile scenic pathway that hugs the waterfront and offers a closer look at some of Newport’s most extravagant estates. Along the Way: Here’s where to eat, sleep, and shop in Newport. Ask Popupla: I Want to Road Trip Across America. Which Route Should I Take?